Doctors believed that David Hibbitt, 33-year-old, from Stoke-on-Trent in Staffordshire, England, had only 18 months more to live before he found the miracle that saved his life and helped him enjoy life with his new bride. 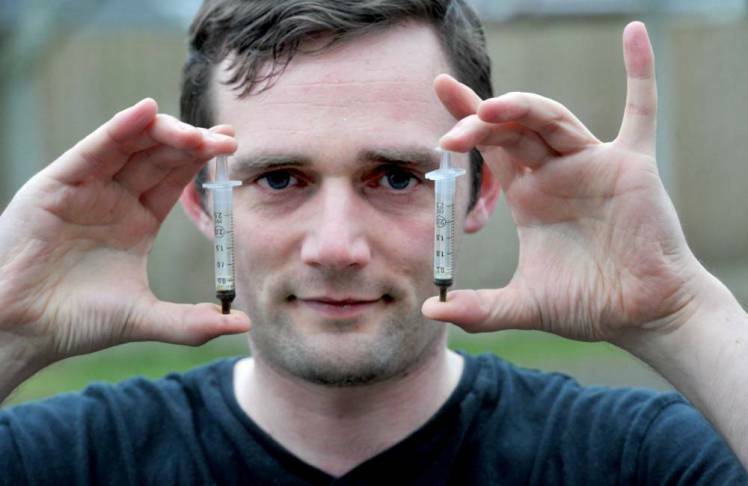 Yet, after experiencing the negative side-effects of conventional treatments, and they failed to improve his condition, he decided to try a treatment with cannabis oil, which cost £50 ($80) a gram from a local dealer. David initially tried chemotherapy and radiotherapy, and in March 2013, his large bowel was surgically removed, but it also failed to deliver a positive outcome. Yet, the treatment with the cannabis oil provided surprising effects, and he is nor planning his future together with his partner of six years, Heather Martin, 26. The Cancer Research UK reports that they are aware that many cancer patients treat themselves with cannabis extracts, but they say that there is still not relevant evidence from clinical trials that it is a safe and effective cancer treatment. However, the charity supports clinical trials to examine the use of this drug and a synthetic cannabinoid in the treatments of cancer.